Flor Enversa, troubadours music, realizes a work of archeo-instruments-making, reconstitution of the instruments in relation to the sources of that time, and brings to life these songs with the sounds which carried them. Flor Enversa realizes a work of archeo-instruments-making, reconstitution of the instruments in relation to the sources of that time, and brings to life these songs with the sounds which carried them. 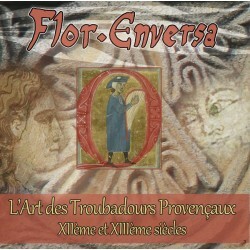 Alvernha - Troubadours in Auvergne in 12th and 13th centuries - CD by the band Flor Enversa, an anthology among the songs of trobadors and trobairitz (woman troubadour). 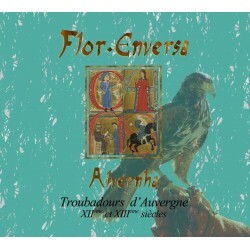 Alvernha - Troubadours in Auvergne in 12th and 13th centuries - MP3 Album by the band Flor Enversa, an anthology among the songs of trobadors and trobairitz (woman troubadour). 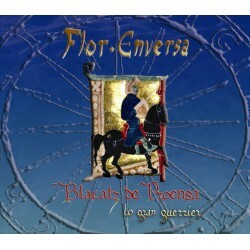 Blacatz de Proensa lo gran guerrier - This CD album by Flor Enversa revived the cansos and tensons of Blacatz de Provence, but also other troubadours and trobairitz who frequented his court. These songs are accompanied by instruments restored to the nearest archaeological sources (sculptures, manuscripts, treaties of the time). Blacatz de Proensa lo gran guerrier - MP3 Album by the band Flor Enversa who revived the cansos and tensons of Blacatz de Provence, but also other troubadours and trobairitz who frequented his court. These songs are accompanied by instruments restored to the nearest archaeological sources (sculptures, manuscripts, treaties of the time). 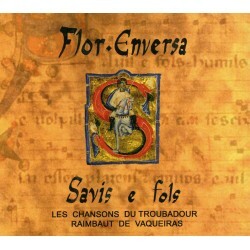 L'Art des Troubadours Provençaux in 12th and 13th centuries - MP3 Album by the band Flor Enversa, an anthology among the songs of trobadors from Provence. 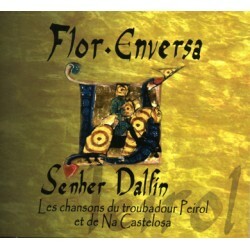 Senher Dalfin - CD by the band Flor Enversa, an anthology among the songs of trobador Peirol and trobairitz Na Castelosa (woman troubadour). Senher Dalfin - MP3 Album by the band Flor Enversa, an anthology among the songs of trobador Peirol and trobairitz Na Castelosa (woman troubadour).